Searching around for used cars, SUVs, trucks, and more, as well as some truly great deals and affordable prices, all with little to no luck? Then come on over to Terre Haute Auto in Indiana today, where you can find a broad selection of used cars for sale that are sure to have something in store for you. Terre Haute Auto is well known for our broad variety of vehicles for sale, offeing drivers everything from a used Ford Flex for sale, to a used Dodge Charger for sale, and even more waiting to be discovered. Here at Terre Haute Auto, we know that finding the next vehicle that is right for you can be a long and tedious process, which is why our team of friendly and knowledgeable auto experts will gladly help you find something that is right for you. That includes questions about one of the many used SUVs for sale, like a Ford Flex here in Terre Haute, Indiana. 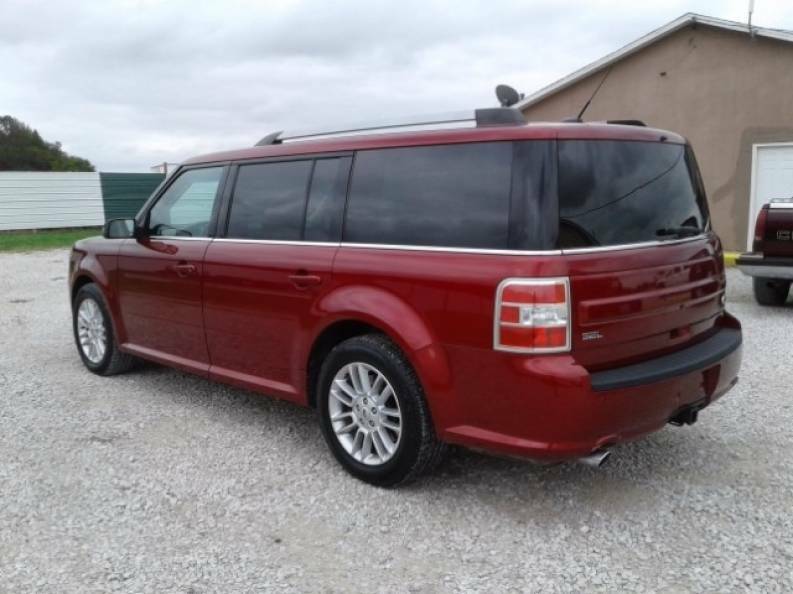 The Ford Flex for sale comes with many features both inside and out that you will not want to miss. This used SUV for sale comes with heated leather seats and a leather-wrapped steering wheel with steering wheel controls, making it easy to clean your vehicle. This used SUV for sale comes with a premium sound system with a Mp3 compatible radio, which will have you jamming out to your favorite music wherever you want to travel to. This used Ford SUV for sale even has wireless cell phone hookup for hands-free calling while you are out traveling. The Ford Flex features a built-in backup camera with color-coded grid lines, making it easier to back in and out of parking spaces. This used Ford for sale also comes with a remote and keyless start, allowing you to warm up your vehicle from the comfort of your own home. Plus with a remote start, you will not have to deal with running out into the cold this winter to warm up your car. The used SUV for sale also features many impressive safety features that are sure to put your mind at ease. Including, antilock brakes, braking assist, and electronic stability control. Multi-Zone Climate Control will help everyone stay more comfortable, eliminating arguments over the air conditioning. This will make traveling more comfortable and enjoyable than ever. Other can’t miss features included with this used SUV for sale Indiana are, a tire pressure monitoring system, a rear parking aid and a power tilt and slide sunroof. This Ford SUV for sale has quite the list of things to offer, and whether you use it for roads trips or for family needs it is sure to live up to your expectations. 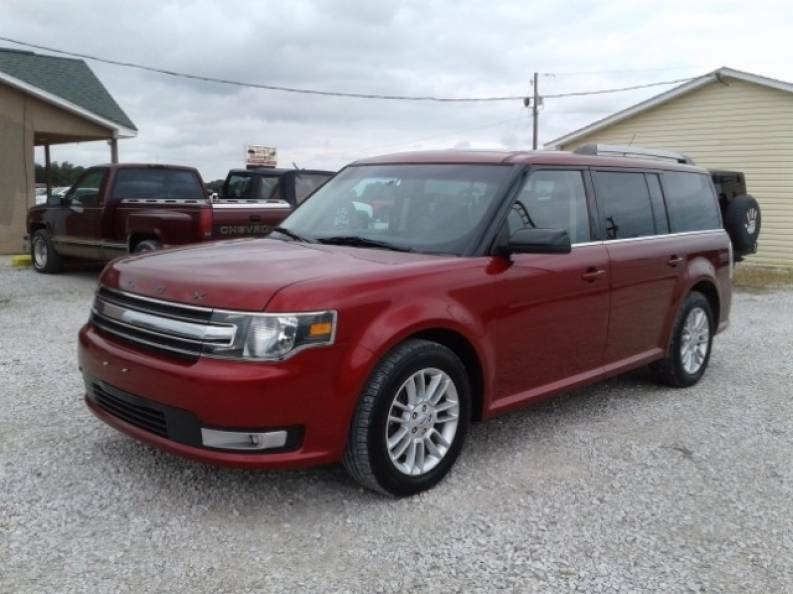 Come to the used car dealerships near you, and see the used Ford Flex for sale and even take this used Ford for a test drive down the streets of Terre Haute, Indiana. When you are looking for used car dealerships near me come to Terre Haute Auto at 1330 S US Highway 41, Terre Haute, IN 47802.